The SlimLine A4030L is an ultra-low profile linear polarised flat panel antenna. Its total thickness is just 12 mm (0.5inch). 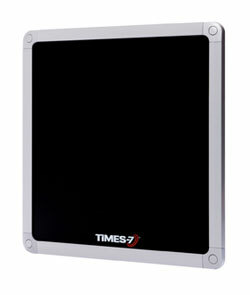 It is an indoor and outdoor, very high performance antenna providing up to 9m / 29ft read range. The rear connector provides for ease of seamless installation. Dimensions: 280mm W: 280mm H: 12mm / 11x11x0.5 inches.